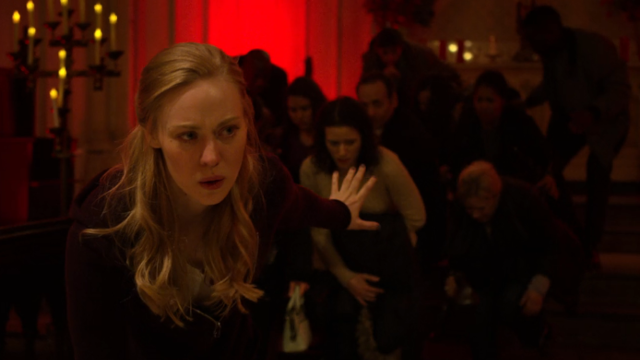 Daredevil season 3 episode 10 is told primarily from Karen’s point of view. In the previous episode, Karen was offered a place to hide in the church while Maggie found Karen a better arrangement. Matt overheard Fisk’s FBI agents state that they have located Karen at the church, forcing him to choose between killing Fisk or saving his friend. Upon learning of Karen’s location, Fisk sends Dex to kill her for murdering his friend, Wesley. 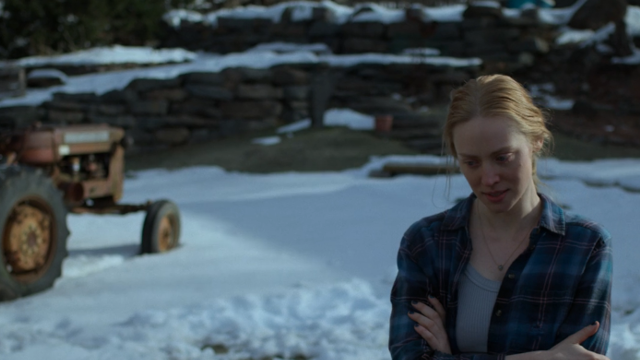 The first two-thirds of the episode details Karen’s backstory in Vermont. After their mother died from cancer, Karen and her brother, Kevin, worked the family diner–Penny’s Place–in a dying Vermont town. Karen is shacking up with the local drug dealer, Todd, both using for herself and selling to others on the local college campus. Kevin knows that Karen has a chance to get out of this town, so he enrolls Karen in Georgetown, where she has already been accepted and deferred. Karen and her father want Karen away from Todd, Kevin for Karen’s sake and her father because what Karen does reflects poorly on the family. After a falling out, Karen goes to Todd to get seriously messed up. They return to the trailer she and Todd were sharing to find it in flames. Kevin torched it. Todd beats Kevin with a tire iron. Karen shoots Todd in the arm and drives Kevin away. The two argue and Karen, not paying attention, wrecks. Kevin is killed in the accident. The sheriff says he’ll report that Kevin was driving alone. If Karen’s inebriated state at the time of the crash is in the report, she’ll go to jail. The sheriff says that the family has suffered enough. Karen tries to help with her brother’s funeral arrangements, but her father tells Karen he doesn’t want her around anymore. He tells her to leave. At the church, Karen looks at a family photo, one of the few possessions she has packed and is carrying with her. Father Lantom brings Karen dinner and tells her that Maggie expects to have a few options for Karen to choose from in order to hide from Fisk by the end of the day. Lantom tells Karen that she is not beyond redemption and invites her to mass. Karen watches and listen to Lantom’s sermon from the side. Karen distracts Dex, allowing the attendees to escape out the back. She leads Dex upstairs. Matt follows Dex, but Dex gets the upper hand. Dex is about to kill Matt when Karen knocks Dex over the balcony. While Karen tends to Matt, Dex disappears. What did you think about Daredevil season 3 episode 10? Let us know in the comments below!